What happens when you take a stoner movie legend and pair him with a dancing ladies man? 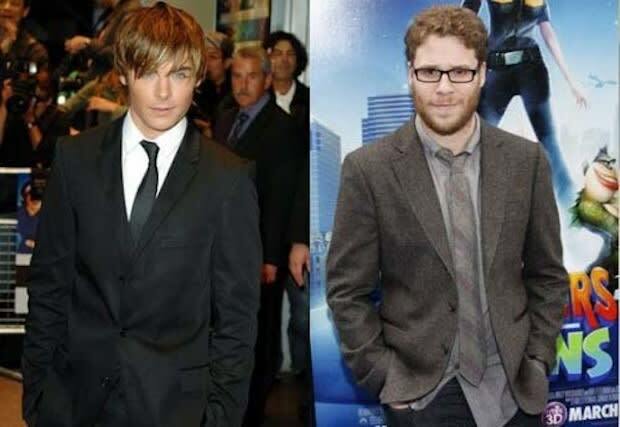 Well, according to Universal, the mixture of Seth Rogen and Zac Efron should equal comedy gold. The odd couple have paired up for a new, untitled comedy that is still shrouded in a fair amount of secrecy. The pitch was thrown by Judd Apatow wards Andrew Cohen and Brenden O&apos;Brien (The 40-Year-Old Virgin, Funny People). The as-yet-to-be named project will find Rogen playing an everyman trying hard to live a normal life who has to deal with Efron&apos;s frat house turning his daily life upside-down. We can&apos;t possibly imagine Universal sitting on this project too long with two high-profile actors attached to an R-rated comedy. Currently, Rogen has been busy making My Mother&apos;s Curse and will be next seen on screen in the cancer comedy 50/50 with Joseph Gordon-Levitt. Meanwhile, Efron is currently shooting the drama Heartland with Heather Graham.